Clearwater is excited to announce a series of integrated water management seminars in Melbourne to support the implementation of Water for Victoria. The seminars will focus on enhancing capacity for Integrated Water Management (IWM) planning within and between organisations in your region, and will provide a platform for knowledge-sharing between local government, water corporations and the catchment management authority. The Department of Environment, Land, Water and Planning will present the Integrated Water Management Framework for Victoria and provide an overview of the IWM planning process guided by the IWM Forums. 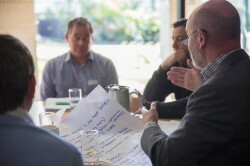 The seminars have been developed in consultation with water, environment and planning experts from across Melbourne to align with identified needs and support the IWM Framework process. IWM considerations to be explored through the seminars include: integration of water and urban planning for different urban development contexts, strengthening stakeholder collaboration, understanding local context, and delivering best-for-community outcomes. Practitioners, senior officers and managers from water corporations and local government within each region, particularly those who lead or manage IWM and strategic planning initiatives, and representatives from the Port Phillip and Westernport Catchment Management Authority involved in environmental planning are encouraged to attend. Dr Mark Elliott, Collabforge Mark is the founder and managing director of Collabforge and author of the world’s first and only general theory of collaboration. Mark has worked with governments, leaders and influencers to deliver some of the world’s most ambitious and trailblazing collaborative projects. Hailey Cooperrider, Collabforge Hailey is a collaboration designer and strategist. 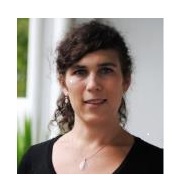 She has been responsible for some of Collabforge’s highest profile projects and core frameworks, with capabilities spanning workshop facilitation, digital platform design, innovation methodologies, and strategy cocreation. Prof Rob Skinner, Monash Water Sensitive Cities at the Monash Sustainable Development Institute Rob has extensive executive experience in the Australian water industry. 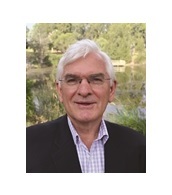 Rob’s current roles include professorial Fellow and head, Monash Water Sensitive Cities (Monash University), Deputy Chair of the Cooperative Research Centre for Water Sensitive Cities and Chair of WaterAid International. Paul Cassidy, Victorian Planning Authority Paul is a registered landscape architect with more than 20 years’ experience working in private consulting and for local and state governments. 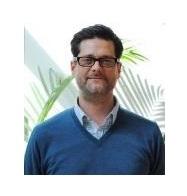 For the past eight years Paul has worked for the Victorian Planning Authority on a wide range of structure planning projects in Melbourne’s west and south-east, and was most recently the VPA’s Open Space Planning Executive. 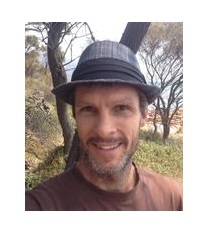 Dr Jeremy Cheesman, Marsden Jacob Associates Jeremy is a Director at Marsden Jacob Associates, Australia’s leading boutique natural resource economics advisory practice. 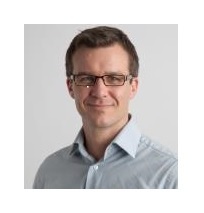 He is an experienced environmental and resource economist, specialising in water and the environment. Ross Allen, Ross Allen Consulting Ross connects people, ideas and initiatives to address complex challenges and deliver more effective outcomes. He is creative and collaborative: a strategic thinker, designer, facilitator and communicator. His professional background is in water-related strategic planning and urban design. Professionals from local councils and water corporations will provide an overview of exemplar IWM projects in your region. You will learn about project achievements, learnings and partnerships, and there will be opportunities for small-group discussions about the initiatives. Tea & coffee on arrival, lunch and afternoon tea. This event is supported by the Victorian Government Department of Environment, Land, Water and Planning (DELWP). Registration is freee of charge*. Follow the link to REGISTER NOW. If you are taking public transport to the event and would like to be picked up from one the nearest train stations (Cardinia Road - approximately 2kms, or Pakenham station - approximately 4kms), please contact your DELWP Project Manager Shiroma Maheepala on Shiroma.Maheepala@delwp.vic.gov.au or 0438 568 660 to arrange. *An administration fee may be charged by Clearwater if participants fail to cancel or tranfer their registration 5 working days before the event.